It's been amazing 2017, and 2018 will be even better! The year started in a way that went beyond my wildest expectations. We released Chet Baker Live in London as a two CD set, having meticulously restored Jim Richardson’s personal audio-cassette recordings from 1983. With the engineering wizardry of Sunlightsquare’s Claudio Passavanti, the music was returned to its original brilliant state and was released at the back end of 2016. Little did we know that the world would go so crazy for the legendary trumpet player’s album—from London to Paris, Italy to Japan, and the USA in there as well—hitting the Top 10 Jazz Charts practically everywhere. Live in London has sold thousands of copies, earning +4 Star Reviews everywhere, including USA’s Downbeat Magazine. Ultimately, Downbeat’s Annual Readers Poll selected Live in London as one of the 10 best historical releases in the world for 2016. To celebrate the release, we reunited the original 1983 John Horler Trio, and invited some exceptional guests to join the party in London (Norma Winstone/vocals, Quentin Collins/trumpet and Leo Richardson/saxes) as we hosted two sold-out shows at Ronnie Scott’s, along with headlining the prestigious Jazz in The Round Cockpit Theatre. Not a bad start. But it got even better.. 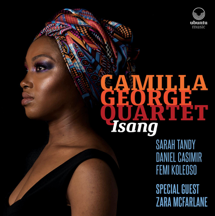 The wonderfully gifted alto saxophonist Camilla George and her multi-talented rhythm section stormed into January with an exceptional debut album, Isang. On the back of her sold out launch show at Pizza Express Soho, Camilla went from strength to strength, fronting her first UK tour and receiving accolades along the way, with excellent reviews across the spectrum of publications. Camilla appeared in multiple festivals across the country, including Cheltenham, Love Supreme, Manchester and Cambridge. This was augmented by her opening performances for Courtney Pine at The Barbican and Dee Dee Bridgewater at Cadogan Hall. Camilla was also singled out for a number of awards, including the Urban Music Awards and Best Debut Album. Never one to rest on her laurels, she is already preparing her second release for Ubuntu Music, The People Could Fly, which will be out late this summer. Quite clearly, as The Evening Standard said it best: Camilla is, “The Girl With the Golden Touch”. Noemi, the lovely jazz vocalist with the Brazilian flair, kicked off February in perfect fashion with two sold out shows at Pizza Express Soho in celebrating the heart-warming, toe-tapping music of Milton Nascimento. Featured in her band was the legendary Art Blakey Jazz Messengers sax man, Jean Toussaint. Word began to spread about this ensemble and, before you knew it, Noemi was invited to play at The Ealing Jazz Festival last summer. Given the warm reception to her music, Noemi was inspired to draw on her composing skills and has been preparing material for a new album, expected in late 2018 on Ubuntu Music. 2017 was a tremendous year for the exceptionally talented pianist, Andrew McCormack. Pushing the boundaries of his musical repertoire, Andrew released his most ambitious project to date, Graviton, which featured the Who’s Who in Jazz: Mercury prize nominee ESKA on vocals, multi-awarding winning Shabaka Hutchings on saxes, Jacob Collier’s bass supremo Rob Mullarkey and Phronesis/Marius Neset drum genius, Anton Eger. Graviton received universal rave reviews and is listed as one of the best albums of 2017. Andrew performed live on Jazz FM and will be interviewed by his long-time friend, Jamie Cullum, this month on BBC radio. Andrew took the show on the road, with a blistering debut performance at Kings Place/Hall1, ultimately followed by a sold-out show in the London Jazz Festival. Noemi Nuti was a clear winner as vocalist for the limited engagement tour. Graviton will be on tour in the UK during February-March, with a headline show at Ronnie Scott’s on 7th February, which includes The Camilla George Quartet! It’s our first Ubuntu showcase, and it couldn’t happen at a better venue. Andrew made further waves with the world premiere of his composition, Reframe, a commissioned work with the Slaithwaite Philharmonic Orchestra which is in its 125th season. And then, of course, the guys—Andrew, Quentin Collins/trumpet and Brandon Allen/saxes—continued their long-standing partnership with Kyle Eastwood and his excellent band. Andrew worked with Kyle on the compositions in California, and the band then recorded in Paris and are taking the project on tour in Europe, Asia and the US. They’ll be at Ronnie Scott’s for four nights/six shows in March…don’t miss it! There will be more information about Andrew and Ubuntu very soon. 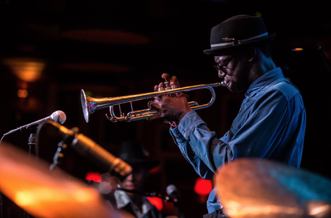 QC is the in-demand trumpet/flugelhorn player on the international jazz scene. Last year, in addition to his work with Kyle Eastwood, Quentin was music director for Omar Kamal—the Frank Sinatra of the Middle East—and they performed a range of shows in a number of countries, including Bahrain, Lebanon, Egypt and the UK. Quentin has formed a new quartet—featuring Andrew McCormack/piano, Daniel Casimir/bass and Shane Forbes/drums—and has been testing out new music, in preparation for an album on Ubuntu Music in 2018. Watch this space! And don’t forget, you can frequently catch Q as host of the Late Late Show at Ronnie’s, which is always full of unexpected guests. There are a number of pundits who saw sax man Leo Richardson as someone whose time has come. 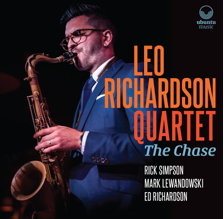 Leo plays the most honest, straight-ahead bebop-hard bop in the UK, and other parts of the world have begun to take notice. A sold-out launch show at The Spice of Life, weeks before the date, a packed Royal Festival Hall performance in the public area during the London Jazz Festival, sold out shows across the UK on their first tour, and a sold-out end of tour show at Pizza Express Soho. Not to mention a sold-out Late Late Show at Ronnie Scott’s in late December, to end the year on an even higher note! Leo has been featured live on Jazz FM with Chris Philips, along with a wonderful interview with Ian Shaw on Jazz FM/Ronnie Scott’s radio. Leo has received a host of accolades, including 4-5 Star Album Reviews in the UK and the US. The Sunday Observer awarded the album 5 Stars, a first ever for a debut jazz album. The Chase is in the running for Album of The Year. The Sunday Times newspaper selected the album as one of the Best 100 Albums across all music genres and one of the Best 10 Jazz Albums of 2017. Reuben is a 28-year-old trumpeter, composer and arranger based in London. He is the recipient of the 2012 Kenny Wheeler Prize, the 2012 Musicians Benevolent Peter Whittingham Award and the Jazz Services Recording Support Scheme. From touring the world with Boy George to leading his own Big Band, Reuben is never short on projects. His latest, celebrating the 40th birthday of arguably one of the finest albums of all time--Steely Dan’s Aja—features 22 musicians collaborating to perform Black Cow, a Steely Dan masterpiece. Among those participating are The Average White Band’s Hamish Stuart/vocals, Paul Booth/sax and Jason Rebello/keys. The song will be a digital release only, on Ubuntu Music, and all proceeds will be donated to Cancer Research’s oesophageal cancer group, in memory of the passing of Walter Becker, co-founder and guitarist of Steely Dan. An album is tentatively planned for later this year. At the centre sits drum and percussion virtuoso Richard Kass. Guitarist Ant Law plays a bespoke extended range electric guitar with 8 strings and a variety of effects, creating ambience and sonorities. At the helm sits classical pianist and composition mastermind Richard Harrold. A belief in the high art of improvisation and intrigue with the infinite art and science of rhythm is what brings H, L and K together. Their music operates on a number of levels, making it accessible and cerebral. Trio HLK's music sounds genuinely fresh, and genuinely new. Trio HLK will be releasing their first album, Standard Time, on Ubuntu Music in the spring. Joining them are very special guests Dame Evelyn Glennie on percussion and American sax virtuoso Steve Lehman. C﻿iting Lee Konitz, Charlie Parker, Warne Marsh, Bill Evans, Keith Jarrett, Ornette Coleman, Steve Coleman, Rabi Abou Khalil, and Paul Motian as major influences, former ECM recording artist Martin Speake has developed a personal musical voice that expresses a deep understanding of the history and language of jazz with individuality as an improviser that is intelligent, melodic, cool, complex, direct, beautiful and profound. 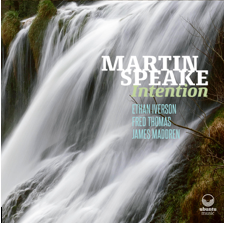 Following a 17-year hiatus, Martin was reunited with his long-time friend—The Bad Plus pianist Ethan Iverson from the US—and, together with Fred Thomas/bass and James Maddren/drums, will be releasing Intention this spring on Ubuntu Music. 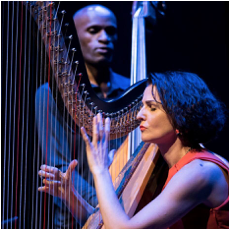 Alina, born in Ukraine and from a Polish family, is one of the most exciting and dynamic harpists in jazz today. Her imaginative programmes have established her reputation as a harpist of exceptional accomplishment. She has had the honour of playing at European Parliament, at the Queen’s 80th-birthday celebrations at Balmoral Castle, at the King of Thailand’s birthday celebrations in Bangkok, and opening for Pharoah Sanders. In a moving tribute to Alice and John Coltrane, Alina has teamed up with Tony Kofi/saxes, Larry Bartley/bass and Joel Prime/drums & percussion for her first UK release, Inspiration, on Ubuntu Music this spring. Born and raised in Uganda, Mark Kavuma is a key young trumpet player on the British jazz scene and leads his own band, Kavuma & The Banger Factory, as well as playing with Jean Toussaint's Young Lions, Jazz Jamaica and the Nu Civilisation Orchestra. 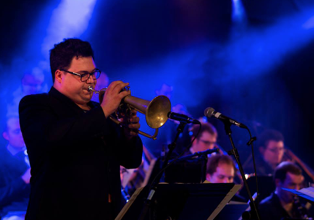 In 2012, Mark was featured as Guest soloist with Wynton Marsalis and Jazz at Lincoln Centre Orchestra. 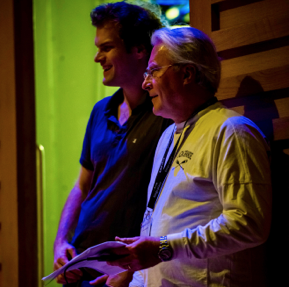 He also played the support slot for Wayne Shorter at the Barbican. Kavuma & The Banger Factory is a London – New York collective that delivers soulful jazz whose purpose is to get people to dance, by feeling the music’s heart and soul. Mark’s debut album, Kavuma, will be released on the Ubuntu Music in the spring of 2018. 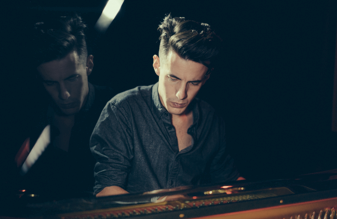 Pete is a pianist, composer and bandleader based in London. Since graduating from The Royal Academy of Music with distinction, Pete has performed as both a jazz pianist and a pop keys player, performing extensively throughout the world. This year will see the release of Pete’s debut album, The Velvet Rage, on Ubuntu Music. The album will showcase a collection of his own compositions, which he has arranged for a 10-piece ensemble, including string quintet. His band play piano-led, groove-infused tunes with catchy riffs and melodies, alongside ethereal, romantic pieces, brought to life by the string quintet’s warm textural palette. Nick is fast becoming one of the most in-demand guitarists on the UK jazz scene and has performed with some of the country’s most renowned jazz musicians such as Martin Speake, Stan Sulzmann, Steve Fishwick, Jeff Williams and composer John Warren (ECM), touring in the UK, Europe, Australia and South America. The Nick Costley-White Quartet combine their love and deep understanding for the jazz tradition with a truly fresh and modern aesthetic. The band’s repertoire draws on unique interpretations of songs from the jazz cannon as well as their own exciting and harmonically rich compositions. The band is comprised of some of the finest improvising musicians, led by Nick, alongside Matt Robinson on piano, Conor Chaplin on bass and Dave Hamblett on drums. The Quartet’s debut album, Detour Ahead, will be released on Ubuntu Music in the summer and will consist of performances which draw from the American Songbook tradition, as it travels through to the modern aesthetic inspired by the surroundings of London’s jazz scene. Originally from Perth, Western Australia, sax giant Brandon relocated to London in 2000 and never looked back. Since arriving, he has worked with many varied artists and groups/ensembles, including Eric Clapton, Jools Holland, Hamish Stuart, Jason Rebello and many, many others. And he’s performed all over the world. Suite Soho is an exciting new composition by Brandon. This cinematic piece features Brandon's All-Star Sextet, along with the addition of a newly formed string quartet which features the classical world's finest. Suite Soho is written in six parts, each movement pertaining to a different facet of Soho/London life, with its rich history and well-loved institutions. The album will be released on Ubuntu Music in the autumn this year. The Line-up includes Mark Nightingale/trombone, Ross Stanley/keys and Ian Thomas/drums. Following on from the worldwide success of Live in London at the end of 2016, Ubuntu Music will release Live in London Vol. II this year. Once again featuring the John Horler Trio, with trumpet legend Chet Baker leading the way, the live recordings were captured at The Canteen in 1983. Songs on the second two CD release will include Broken Wing, Stella by Starlight, Dolphin Dance, Polka Dots and Moonbeams, When I Fall in Love and Just Friends. A must-have album, for any Chet Baker fan. Quentin hosts a regular late-night residency at London’s prestigious Ronnie Scott’s Jazz Club with his new band, The Quentin Collins Quartet. Given the immediate success of the musical offering, the band will be recording an album on the Ubuntu Music record label this year and for release in 2018. The Quentin Collins Quartet is where Quentin highlights his formidable, soulful and original compositions alongside his uncanny ability to interpret lesser played classic material from the jazz canon. The Quartet consists of young, dynamic and much respected musicians on the scene, including Andrew McCormack/piano, Daniel Casimir/bass and Shane Forbes/drums. New York tenor saxophonist Eric Alexander is one of the most important soloists of current modern, straight-ahead jazz worldwide. More than one jazz critic has claimed that listening to Eric--unfettered and at length--is one of the greatest treats in jazz. He has recorded and toured extensively, with some of the greatest in the business and has massive followings across the globe. The 82-year-old pianist Harold Mabern has been a part of the top New York jazz scene since the 1950s. He is a genuine jazz legend, having played with them all: Lionel Hampton, Lee Morgan, Benny Golson, Miles Davis, Sarah Vaughan, Sonny Rollins and Freddie Hubbard, to name a few. Since 2012, Eric Alexander has worked in various projects with the technically proficient Austrian drummer Bernd Reiter, who studied in Graz and New York and lives now in Paris. He’s one of the in-demand drummers in Europe. Along with Darryl Hall, the exceptional East Coast US bassist who currently resides in Paris, these four men represent the explosive New York All-Stars. Their live performances were recorded in London during November 2017 and will be released on Ubuntu Music this year. Camilla George is recording her next release on Ubuntu Music, which includes a killer line-up of talent and some very special guests. Release date is late summer. Noemi Nuti is hard at work, composing material for her next release on Ubuntu Music, expected by end of year. And there’s even more in the works, with further news to follow soon. This isn’t a particularly easy business. It is exceedingly demanding and is all-consuming if you want to make your mark. Ubuntu Management Group and, within it, Ubuntu Music, started several years ago as an experiment, by devoting my attention to the music I love most. The experiment seems to have worked. This would never have been possible without some extraordinary people who were patient enough and supportive enough to give us a chance. There are many, but the few in particular I’d like to thank include Chris Philips from Jazz FM--along with Ruth Fisher, Tony Minvielle and Jonathan Aerndt, publicist/marketer and friend Emma Perry, Simon/Paul/Nick/Sarah/James from Ronnie Scott’s, Sunlightsquare’s Claudio Passavanti, John Fordham and Dave Gelly from The Guardian/Observer, Kevin LeGendre, The Sunday Times, Mike Flynn /Jon Newey and crew at Jazzwise, Seb Scotney and crew at London Jazz News, the US Downbeat and JazzTimes Magazines crew, Ron Moss, Marc Myers at JazzWax USA, Fred Gluzman, Ian Shaw, Lance Liddle at Bebop Spoken Here, Sue Edwards, Matt Ruddick at Kind of Jazz, Jane Cornwell at The Evening Standard, Paul Pace from The Spice of Life, Jazz Journal’s Mark Gilbert, Ross/Joseph/Luc from Pizza Express, Michele Catri at Master Chord Studio, photographer Tim Dickeson, The Sunday Times’ Clive Davis, Tom Harrison, Mary James, designer Darren Rumney, Peter Freeman, the team at Sound Performance and Jon Griffiths at Proper Music. And, of course, Simon ‘Goatious Foot’ Page, who never fails to surprise me. And to Q, my Ubuntu Music creative partner, for his sage wisdom and unselfish devotion. Most of all, to the exceptionally talented artists, who make me look much better than I am at what I do. You are the heart and soul of this venture. I am eternally grateful for placing your faith in me. And lastly and most importantly, to my family for allowing me to live the dream. Love you, Leslie and ladies!